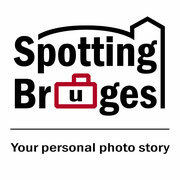 Fill in the form below to request a private photo tour or a picture of Bruges and its surroundings. the tour of your preference (e.g. the "regular monumental" tour), the number of participants (up to 4) and the preferred timing (date + hour). the reference number of your favourite picture(s), the desired material (photo print, canvas, ...) and the size of the picture(s). your mobile phone number (in order for Spotting Bruges to reach you by phone if necessary) and your postal address (for billing / shipping).